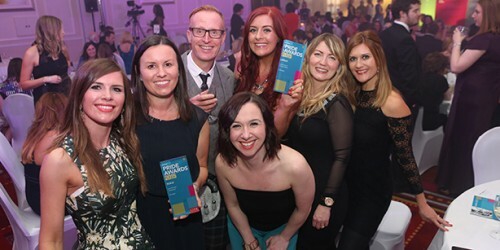 Last night at the 2015 CIPR Scotland PRide Awards, over 350 of the nation’s public relations professionals gathered to celebrate the best of Scottish PR at the Glasgow Marriott Hotel. Glasgow-based creative communications consultancy, Smarts, were one of the evening’s big winners, picking up two Gold awards for Low Budget campaign and Best Use of Social Media with their ‘We love our gingers’ campaign for Border Biscuits, created to celebrate Border’s best-selling chocolate ginger biscuits and embrace the nation’s love of all things ginger. Judges credited Smarts for being “smart, creative and well-considered” with a campaign that stood out “not just because of its fun, personality-filled social media content but because it truly delivered” results for Border’s business. Other multiple Gold Award winners on the night included PR agencies, Pagoda Porter Novelli, Holyrood PR and Weber Shandwick, along with the corporate communications team at West Dunbartonshire Council. With a record number of entries and campaigns from a diverse range of sectors, this year’s PRide Awards show that the Scottish PR industry is alive and kicking. From our rising PR stars to recognising some of the best practitioners and teams in the business, I’m proud to be involved in the awards. Public relations in its many and ever-evolving disciplines can add real value for businesses and public sector organisations alike and PRide is our chance to shout about this. View full set of results, including Silver winners and case studies.